All Web addresses mentioned were functional as of 5-27-16. From the Cumberland Gap to the Atlantic Ocean, this is Virginia Water Radio for the week of May 30, 2016. This week, that quiet music opens a repeat of our Memorial Day episode from 2015, featuring a water-related exploration of the holiday’s Civil War origin. Have a listen for about 35 more seconds of the music, to set the stage. You’ve been listening to part of “All Quiet Along the Potomac Tonight,” played by Chloe Benner and Stewart Scales. The title, and the lyrics associated with the tune, are from “The Picket Guard,” a poem by Ethel Lynn Beers, published in November 1861. 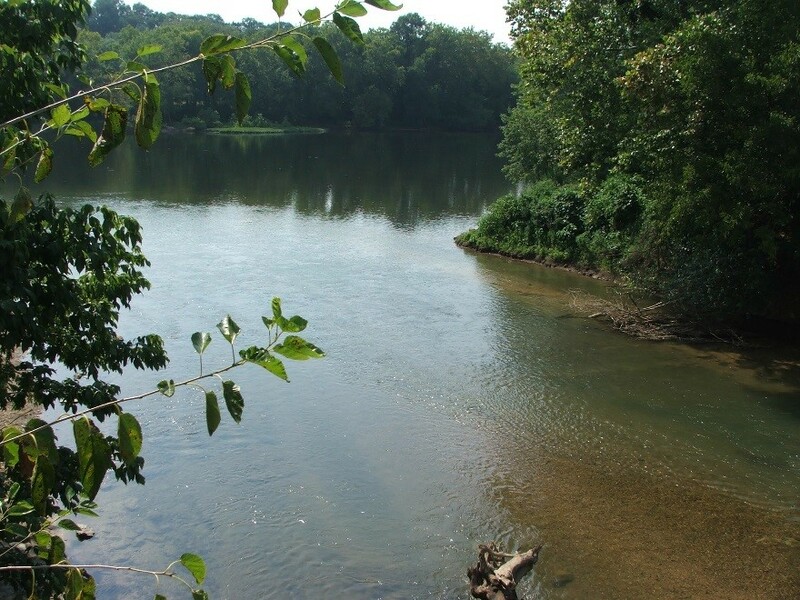 The poem relates the loneliness, homesickness, and then sudden death of a rank-and-file soldier patrolling the dark, wooded, and deceptively quiet Potomac riverbank. As a similar tragic fate befell tens of thousands of Civil War soldiers along rivers, ridges, and battle lines in Virginia and elsewhere, surviving family and friends began honoring fallen soldiers by decorating their graves with flowers, especially during spring. The practice grew across both North and South, eventually becoming a spring tradition known as “Decoration Day.” On May 5, 1868, Gen. John Logan called for Decoration Day to be an annual, national holiday on May 30, and the first large, public ceremony was held that year in Arlington National Cemetery, near the banks of the Potomac. After World War I, the annual observance began to include honoring those who had died in all U.S. military conflicts. In 1971, Congress declared Memorial Day an official national holiday, to occur on the last Monday of May. For more Virginia water sounds, music, and information on this episode, visit us online at virginiawaterradio.org, or call us at (540) 231-5463. Virginia Water Radio is produced by the Virginia Water Resources Research Center, part of Virginia Tech’s College of Natural Resources and Environment. Thanks to Stewart Scales for his banjo version of Cripple Creek to open and close the show. In Blacksburg, I’m Alan Raflo, thanking you for listening, and wishing you health, wisdom, and good water. This episode repeats and replaces the 2015 Memorial Day episode, Episode 267 (5-25-15). The tune of “All Quiet Along the Potomac Tonight” was performed by Chloe Benner and Stewart Scales, used with permission. More information about Mr. Scales and the group New Standard is available online at http://newstandardbluegrass.com. Another version of “All Quiet Along the Potomac Tonight,” by Bobby Horton, was featured in Virginia Water Radio Episode 101 (3-5-12). More information about the origin of the song’s lyrics and title, from an 1861 poem called “The Picket Guard,” by Ethel Lynn Beers, is available from Britannica Encyclopedia Online at www.britannica.com/EBchecked/topic/58438/Ethel-Lynn-Beers; and from Bartleby.com, online at http://www.bartleby.com/270/13/474.html. “Flowers of the Forest,” from the 2003 CD “Old Friend’s Waltz,” is copyright by No Strings Attached and Enessay Music, used with permission. More information about No Strings Attached is available from their Web site, http://enessay.com/. This music was featured previously in Virginia Water Radio Episode 212 (5-5-14). Looking towards the confluence of the Shenandoah River with the Potomac River at Harper’s Ferry, West Va., August 14, 2008. 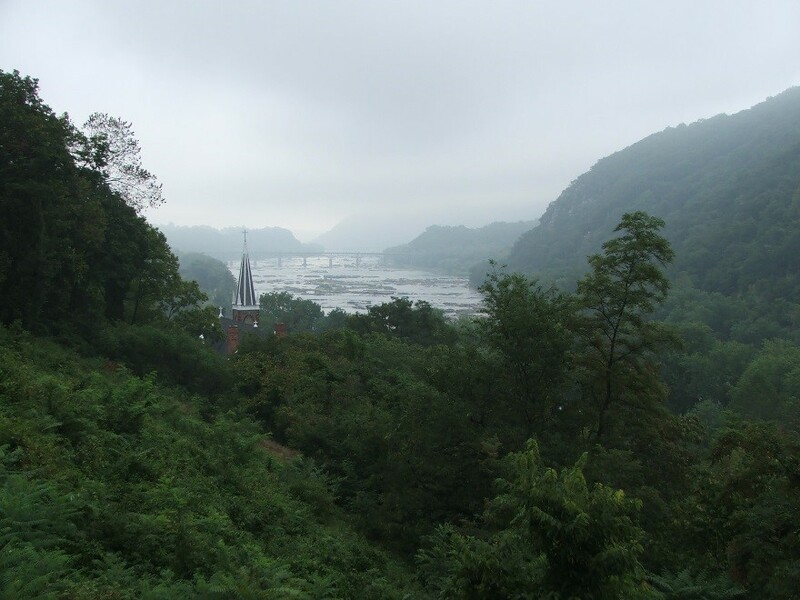 Harper’s Ferry was a strategic location and the site of a federal arsenal during the Civil War era. The confluence of Antietam Creek (foreground) with the Potomac River in Maryland, Aug. 13, 2008. The confluence is several miles below where the creek flows through Sharpsburg, the site of a major Civil War battle in 1862. Smithsonian Institution/National Museum of American History, “You asked, we Answered: Why do we celebrate Memorial Day?”, by Ryan Lintelman, May 24, 2013; available online at http://americanhistory.si.edu/blog/2013/05/you-asked-we-answered-why-do-we-celebrate-memorial-day.html. Public Broadcasting System, “National Memorial Day Concert/History of Memorial Day,” online at http://www.pbs.org/national-memorial-day-concert/memorial-day/history/. U.S. Office of Veterans Affairs, “Memorial Day History,” online at http://www.va.gov/opa/speceven/memday/history.asp. U.S. Office of Veterans Affairs, “America’s Wars [as of] November 2014 Fact Sheet,” online (as PDF) at http://www.va.gov/opa/publications/factsheets/fs_americas_wars.pdf. National Park Service, “Manassas National Battlefield Park,” http://www.nps.gov/mana/index.htm. All Water Radio episodes are listed by category at the Index link above (http://www.virginiawaterradio.org/p/index.html). Please see the “History” category at the Index link for a list of all previous episodes related to Virginia water as part of historic events. River origins of Virginia signers of Declaration of Independence - Episode 220 – 6/30/14. Bull Run's present and Civil War past - Episode 223 – 7/21/14. U.S. Navy - Episode 289 – 11/9/15. 3.11 – basic principles that form basis of republican government, including recognizing that Veterans Day and Memorial Day honor people who have served the country. USI.9 (causes, major events, and effects of Civil War). VU.7 0 - knowledge of the Civil War and Reconstruction Era.